The Archeological and Historic Preservation Act (Public Law 86-523, 16 U.S.C. 469-469c-2) first became law in 1960. It became known as the “Moss-Bennett Act” after the important amendment signed into law in 1974 that provided federal funding to mitigate destruction of archeological sites in specific circumstances. The following excerpt (pp. 54–56 of our 1992 special publication, History of the Arkansas Archeological Survey, by Charles R. McGimsey III and Hester A. Davis) details how these events transpired in the words of one of the principal actors, Arkansas’s State Archeologist at that time, Hester A. Davis. 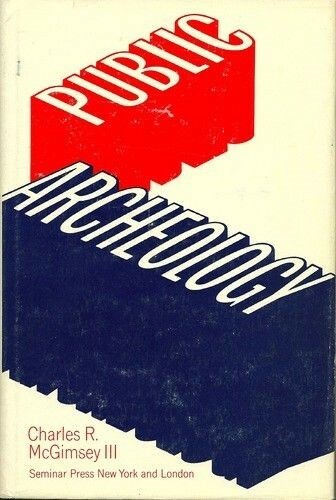 The Survey was created out of the concept of public archeology, although this term was not actually used until the publication of McGimsey's book by that name. The active support given to the creation of the Survey, as narrated in a previous chapter, is the essence of what is now universally known as Public Archeology. Like so many things, the efforts to get a bill through Congress came about because of several "historic accidents" which allowed McGimsey and Carl Chapman of the University of Missouri to lake time to provide the leadership for this cause. The dual administration of the Survey, by the Director and State Archeologist, allowed McGimsey to spend time in DC; Chapman also had staff who could run the Center for American Archeology. In addition, I [Davis] was Chair of the Committee on the Public Understanding of Archeology of the Society for American Archaeology, a perfect funnel to communicate with the profession about the need for the legislation, about how to influence Congress, and to alert the constituency when cards, letters, and calls were needed as Congressional committees met and Congress voted. McGimsey and Chapman essentially drafted the Archeological and Historic Preservation Act in 1968 after the MAVAP [Mississippi Alluvial Valley Archeological Project] meetings, but between then and 1974 when it was passed, it went through many revisions, as all bills do. When they took the draft to Senator Fulbright in 1968 and explained the need for the legislation, Fulbright pledged his support and said "it will take six years to get through Congress." (Now there's an experienced politician for you.) In his innocence, McGimsey didn't think so, because he felt the urgency to get all federal agencies involved in protection of sites. In May 1972, a two day conference was held in Fayetteville, organized by Bob and myself, to discuss "cultural resource management" and leaders in the archeological profession and representations of several federal agencies discussed the problems to be met and hopefully solved by the proposed legislation. In April 1973, a similar conference was held in Denver, with much the same purpose, but with the knowledge that the bill was closer to passage. Much of the discussion was about how the profession was going to meet the challenge when agencies got the authority (as Moss-Bennett would provide) to spend project money for archeology—where were the archeologists to come from? ; how were agencies to know who was a professional archeologist and who wasn't qualified to do the research for them? ; how were academically based archeologists going to meet the needs of federal agencies to work year round? ; how was quality control to be maintained over the greatly expanded amount of research which was anticipated? In June 1974, McGimsey, who was President of the Society for American Archaeology at the time, wrote a proposal to the National Park Service, for funds to hold six "seminars" where small groups of archeologists would tackle some of these problems. The Airlie House Seminars were held in the summer of 1974; PL 93-291 had been signed into law by President Nixon in May so the need for professional guidance was at hand. Although the results of the seminars were not published until 1977 as The Management of Archeological Resources (edited by McGimsey and Davis and distributed by the SAA), drafts had circulated widely in the intervening years, and this standardized guidance had great influence on the course of cultural resources management. 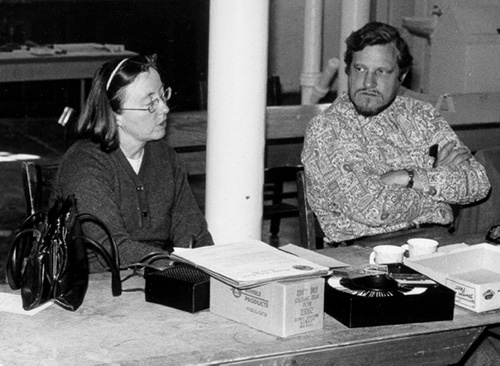 In 1975, the SAA established an Interim Committee on Professional Standards, of which McGimsey was a member. This Committee prepared a report recommending the establishment of a Registry of Professional Archeologists, and at its annual meeting in May 1975, the members in attendance voted to support such a Registry. The SAA Board asked that a mail ballot be sent so that all members could vote, and this was done in November, again, with the majority of members approving such action. Because of the seriousness of this action, and the strong feelings against it by some leading members of the profession, the SAA set up an expanded Interim Committee on Professional Standards, with Edward Jelks as Chair, which also included representatives of three other national archeological organizations (SHA, AJA, and ASCA). This committee met in Fayetteville for four days in January 1976. I was a member of the SAA Executive Committee then and served ex officio on this committee representing the SAA. The Committee wrote a report to the SAA Board which included a Code of Standards, standards of research performance, standards for institutions sponsoring archeological research, and setting forth minimal requirements for training and experience which must be met for recognition as a professional archeologist. Having prepared this report, the committee then dissolved itself, and on January 29, the 11 members of the committee formed the Society of Professional Archeologists, with both Bob and me as members of the Board. Who could have foreseen the expanding ripples when McGimsey and Chapman got their heads together to see what could be done to slow the destruction of archeological sites in the Lower Mississippi Valley from land­leveling by the Soil Conservation Service?